RICHMOND–Betty Ostergren is allowed to post personal information, including Social Security Numbers, on her website The Virginia Watchdog because the personal data is already publicly-available through government websites and unredacted court records, the Fourth Circuit today ruled. The state attorney general had tried to prosecute Ostergren for violating a state law barring intentional communication of another’s Social Security Number. But the Fourth Circuit in Ostergren v. Cuccinelli, No. 09-1723, 09-1796 (9th Cir. 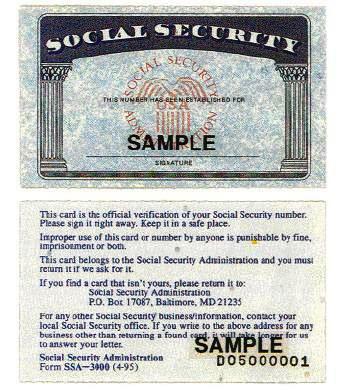 July, 26, 2010) held there is a first amendment right to post social security numbers and other information made available on public, government-run websites. The Court overturned the trial court’s permanent injunction against the prosecution because the lower court did not provide enough relief for Ostergren, a privacy advocate who began posting Social Security Numbers of public officials in an effort to prod her state Legislature to crack down on the use and public posting of personal records online and with clerks of court. The trial court criticized the state for prosecuting Ostergren when the state itself had failed to redact Social Security Numbers from its own records. The Court of Appeals held that while Virginia had “a statement interest of the highest order” in protecting individual privacy, the state’s prosecution of Ostergren was not narrowly tailored in support of that interest “when Virginia makes those same records available through a secure remote access without having redacted SSNs.” Therefore the state statute was unconstitutional as applied to Ostegren. Moreover the trial court’s grant of injunctive relief was too limited because it failed to protect Ostergren’s right to also republish publicly available SSNs of private individuals and public officials from states other than Virginia: “Ostergren’s constitutional right to publish Virginia land records containing unredacted SSNs does not depend on the political status of people whose SSNs are compromised.” The appeals court reversed the trial court’s injunction and remanded the case for issuance of a new permanent injunction in light of its findings. Freedom to Tinker has an excellent discussion of the decision. For an interesting counter-argument, University of Washington School of Law Professor Peter A. Winn has an interesting article on judicial information management. Winn argues that restoring a balance between legitimate privacy and publicity interests does not require replacing established common law standards, but will require adoption of new legal procedures, better use of information technologies, more careful training of judges and lawyers, and supplementing the common law adversarial system of information management with an administrative model.